This year we were third time at IMM Cologne. We were here also in 2015 and 2018. 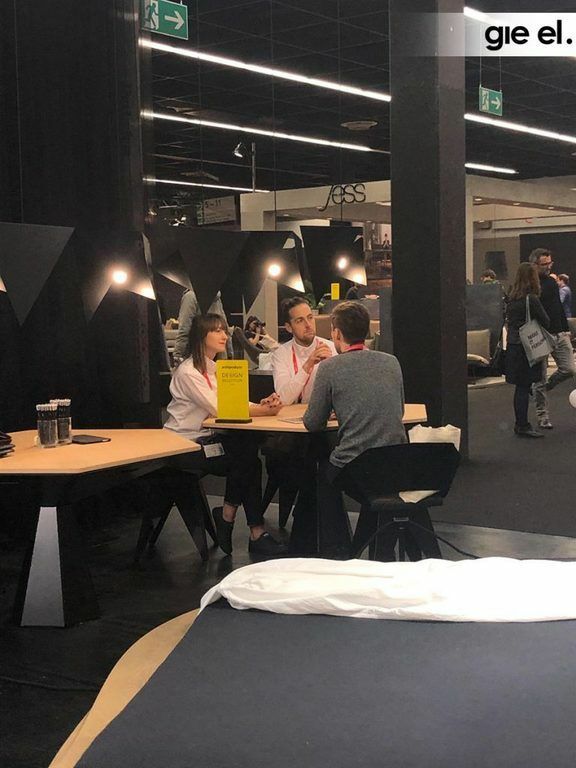 Almost 150,000 visitors from 145 different countries – this are numbers for IMM Cologne 2019. Thanks to great impression that we made last year, organizators placed our booth in very prestige Hall 3.1, accross to the “Das Haus”. 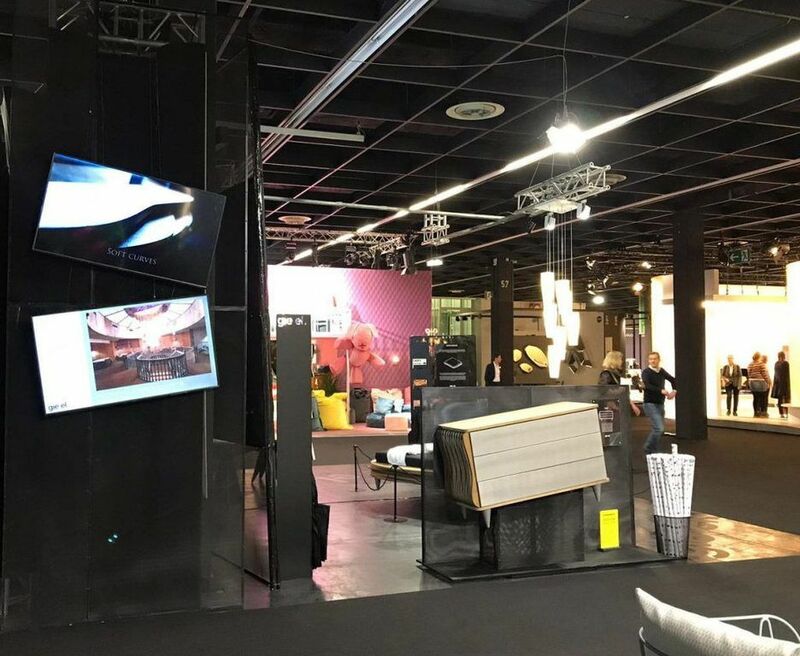 “Das Haus” is booth where are presented newest trends and fresh ideas about interiors and its design. In this year “Das Haus” was designed by Australian project studio Truly Truly. The location of our exhibiton next to “Das Haus” is undoubtedly an expression of confidence in the Gie El. The Fair was the best place to present our bestseller, which is oak wooden bed – the ORGANIQUE. To emphasize uniqueness of this product, we placed ORGANIQUE on rotating platform. Thanks to that all visitors saw amazing precision, natural structure of wood and beautifull shadows created by light going through 8 layers of oak wood. Above the bed we hang set of 7 lamps VOLCANO. At our booth were also ORGANIQUE chest of drawers and two nightstands from the same collection. In this way visitors could see that ORGANIQUE collection would look great in their bedrooms. We presented the premiere of the newest version of chair KNIGHT. This time KNIGHT have solid, steel legs. Black steel and dark leather creates intriguing and elegant product. To complete great look of chairs, we decided to show dinning table UNIT. This was also premiere of those tables. 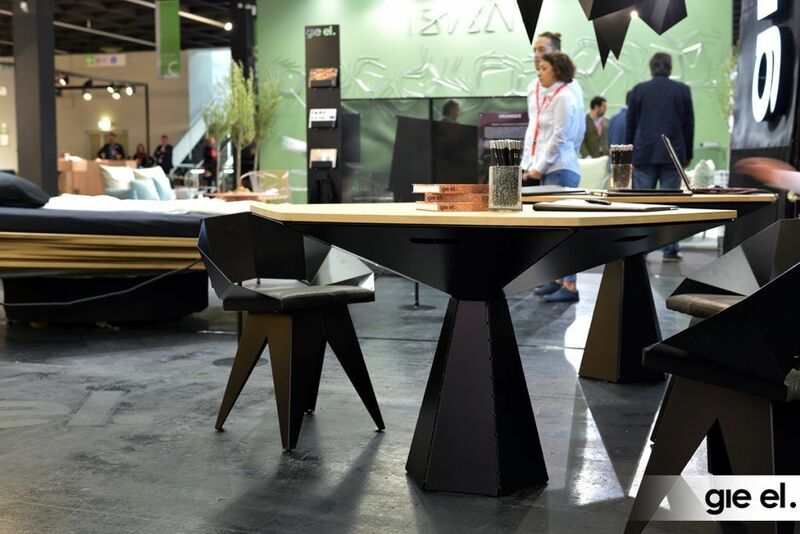 Powder coated steel and wooden tabletop – interesting combination that, despite the obvious contrasts, creates a very coherent product. Breaking the “raw feeling” of steel with natural wood makes great effect. UNIT is very unique proposition for restaurants or even for dinning room. Above the tables were lamps BIRD – another of our most-recognizable products. This year we chose black BIRDS, not the rust ones. Its more elegant and classic version, which fits more to people who like form of BIRD, but wanted more universal lamp. 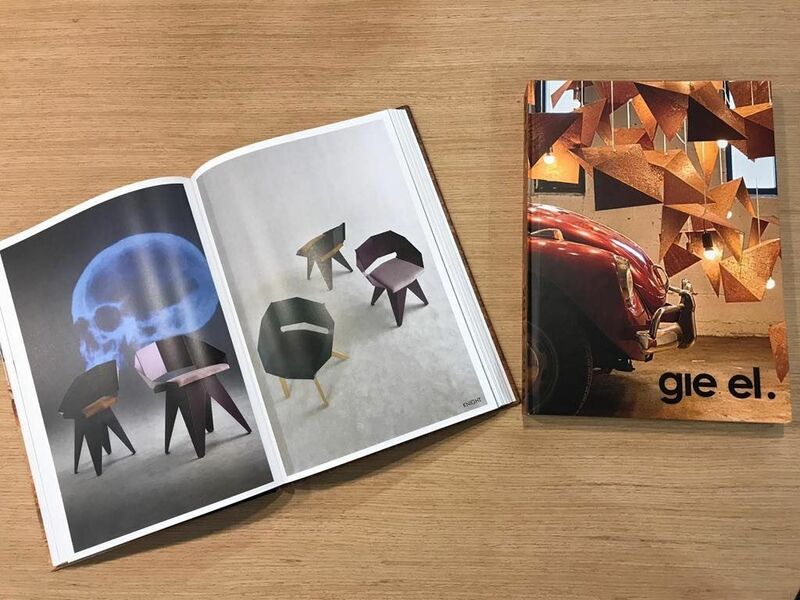 The IMM 2019 was also first fairs where we presented to you our book. You cand find there photos of all products, which we designed and produced from 2012. The book is collection of our most eye-catching photos. All of those are made by us, at our studio. Selecting images for 328 pages of book wasn’t easy, but it was very interesting and satisfying job for all members of our team. The result went beyond our expectations – you can check it by clicking here. Thank you for visiting us at our booth, for all your good words about our products and for countless inspirational conversations. The possiblity to meet you face-to-face and get to know the opinions about the products is a great value for our team that inspires and motivates us. Next stop: 8.02-12.02 AMBIENTE 2019, Frankurt am Main, Germany. See you soon!